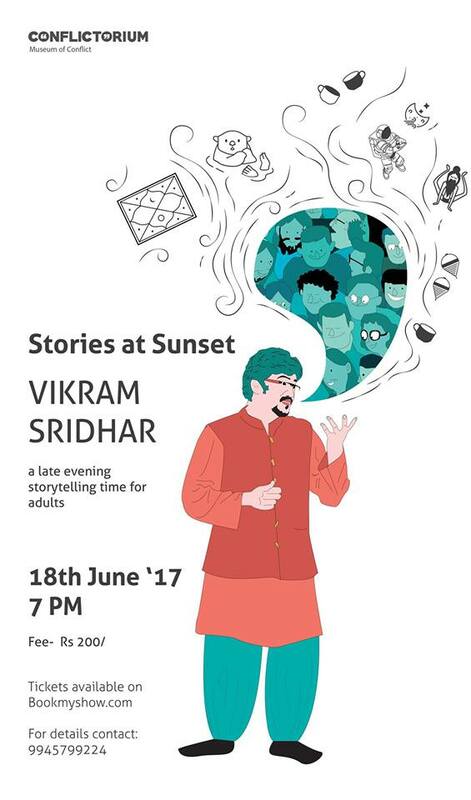 The late evening Oral storytelling session for adults by Vikram Sridhar will explore stories from People (folk) tales inspired folklore, mythology, politics, nature, etc. over an hour. Limited to 25 people, the event’s stories will bring in emotions of love, valour, envy, joy, etc.